– A girl and her vampire. – Shoujocard, in a cute sweater with a heart-shaped sigil. – Yumiko, Yumie, and a couple of her other personalities — a child and an elegant lady. – The original design for the H. G. Wells I-jin’s portable time machine. – Integra in short sleeves. 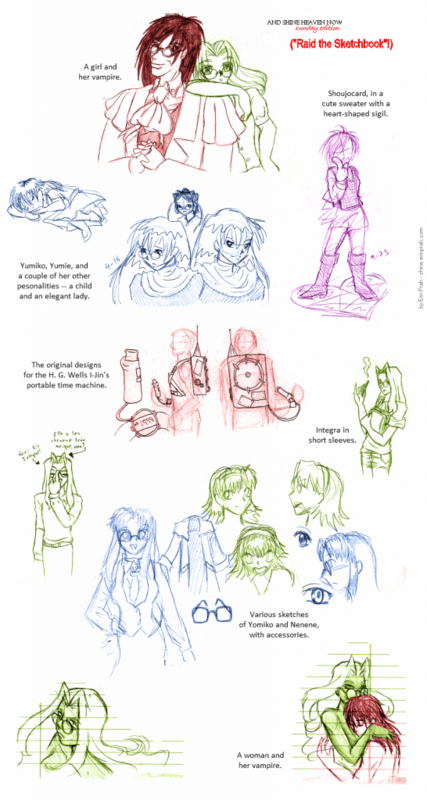 – Various sketches of Yomiko and Nenene, with accessories. – A woman and her vampire.